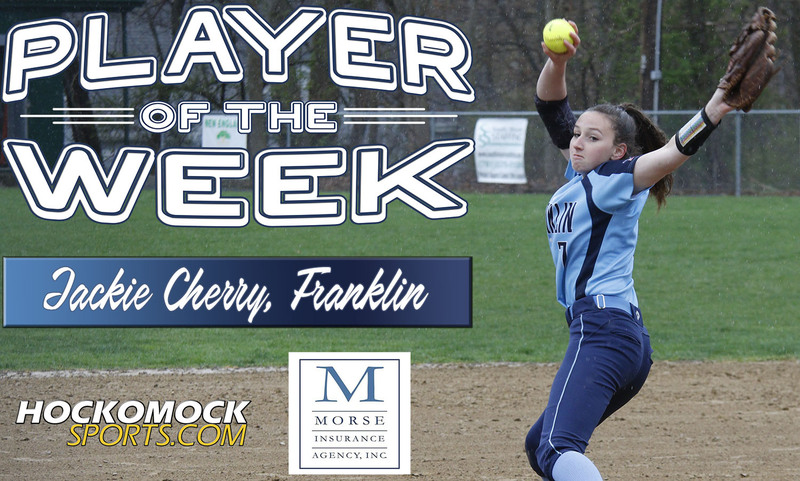 "Franklin senior Jackie Cherry has been selected as the HockomockSports.com Player of the Week, presented by Morse Insurance, for March 31 through April 6. Cherry is the 24th player chosen as Player of the Week for the 2018-19 school year and the first player in the spring season. Cherry, a senior pitcher, opened the season with a no-hitter against defending division champion King Philip, providing the perfect start for a Panthers squad aiming to get back into postseason contention this spring. Franklin beat the Warriors 2-0 and Cherry was able to shut down one of the most potent lineups in the Hock."